The immune system comprises several masses of lymphoid tissue or organs located throughout the body as well as circulating leucocytes. The circulating cells originate from the bone marrow and are ‘programmed’ to carry out specific functions by certain lymphoid organs. The principal lymphoid organs are as follows. 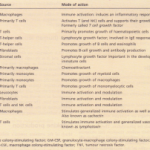 The bone marrow is the primary site of haematopoiesis in ammals. All blood cells are derived from a pluripotent stem cell. Stem cells are primitive cell types that have no specific function, divide rapidly and, under the influence of various cytokine signals, will differentiate into myeloid or leucocytic cells. The thymus is formed from the third and fourth brancial pouches, and contains cells that originate from bone narrow. 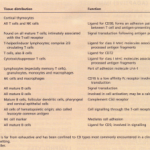 Lymphocytes derived from the thymus are called T call and comprise about 75% of the lymphoid population. 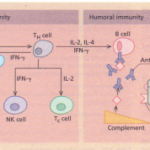 In the passage through this organ, the immature T cell are converted into mature CD4+ or CD8+ cells by the influence of thymic epithelial hormones. Cells that are potentially reactive with the body’s own tissues undergo clonal deletion here. Lymphoid tissue is frequently found distributed in mucosal surfaces in non-encapsulated patches. This is termed mucosa-associated lymphoid tissue (MALT), gutassiciated lymphoid tissue (GALT), or primarily Peyer’s patches), bronchus-associated lymphoid tissue (BALT, found in the lobes of the lungs along the main bronchi) and skin-associated lymphoid tissue (SALT). Tonsils function rather similarly to lymph nodes. 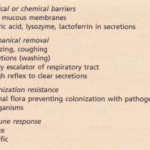 They in the nasopharyngeal tract and are thus well placed to combat airborne antigens. B cells predominate in these follicles. 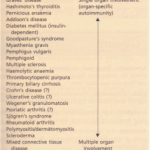 Other major sites of lymphoid tissue are the spleen and lymph nodes.